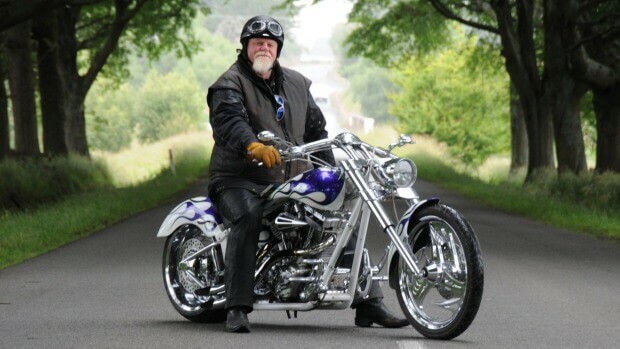 The thunder of more than 100 motorcycles was sent rolling along Wairarapa roads over the weekend in tribute to late Wairarapa politician and veteran biker Gary McPhee. The 60-year-old husband, father, and grandfather, was a former mayor of Carterton and the sole Wairarapa representative to the Greater Wellington Regional Council, when he was found unresponsive at his rural Carterton home on June 14 last year. His sudden death, a suspected suicide, was referred to the coroner. 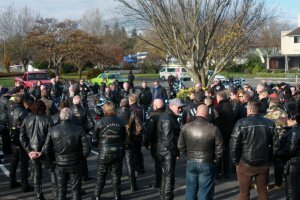 Brian McWilliams, road captain for the inaugural Gary McPhee Memorial Exhibition and Ride 2017, said the run on Saturday was a tribute to his friend, whom he had worked alongside as community facilities manager for the Carterton District Council. Other close friends of Mr McPhee, who were unable to make the ride on Saturday, were to visit his graveside together at Clareville Cemetery during a more private event on Sunday, Mr McWilliams said. 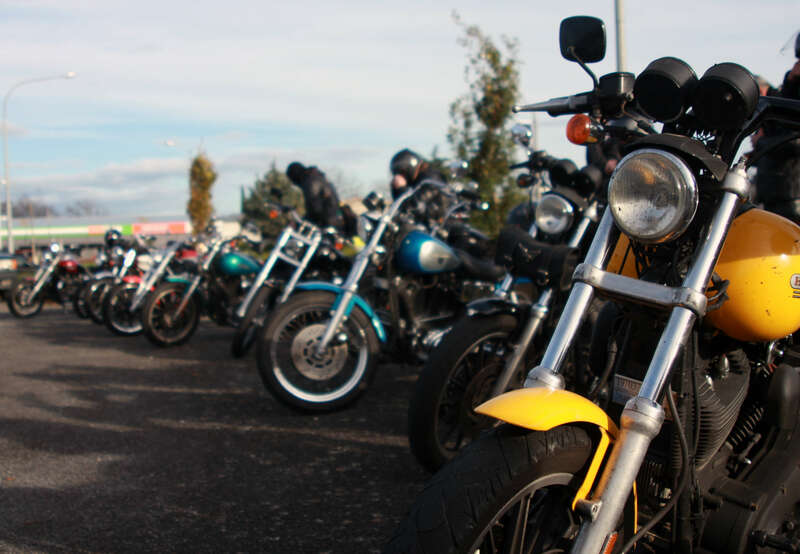 Riders had mustered in Masterton on Saturday morning, travelling to South Wairarapa and return through each town, and stopping at Mr McPhee’s “favourite watering holes”, the Pukemanu Tavern and Gladstone Inn, Mr McWilliams said. 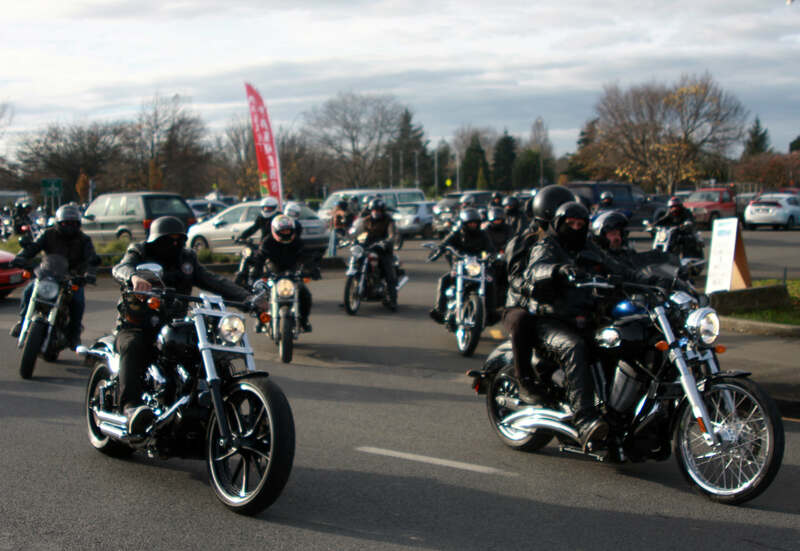 The motorcade was joined by more riders during the run, he said, and had also stopped at the Carterton Events Centre, where a memorial display had been laid out. 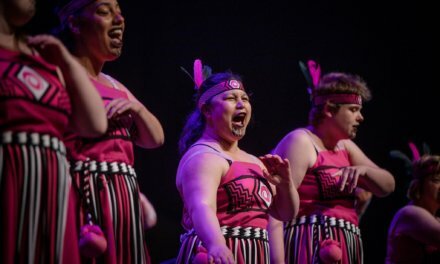 The event was completed at the Seven Day Club in Carterton on Saturday night with entertainment from Masterton band, The Dead Zephyrs. 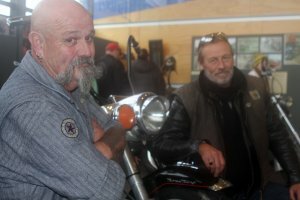 Memorial ride co-organiser Trevor Lamb said the idea for the event had drawn wide support and riders from throughout Wairarapa, the Hutt, Wellington and Palmerston North. Mr Lamb said there were plans to hold the memorial run again next year. “I think it was pretty successful and we got a lot of favourable comments. A dude reckons that near Tauherenikau, there was two kilometres of bikes in front of him. “Just about everybody’s got a story about Gary and what he’d done, that nobody else really knew about. He earned himself the title of The Sheriff, and there were various reasons for that. More than 1500 people – from leather-clad bikers to besuited local body politicians – had last year attended Mr McPhee’s funeral service, which was believed to be the largest in the town’s history. The Sheriff, who stood close to two metres tall, took his ride into the sunset aboard the Harley-Davidson sidecar hearse he had built himself, with his son Jesse as the rider. Mr McPhee had also during his lifetime worked as a bar owner and restaurateur, marriage celebrant, mechanic, builder, engineer, motorbike racer, and mental health advocate. He had, as Carterton mayor, led the construction of the Carterton Events Centre, which had since won multiple national awards as an undeniable regional success. Mr McPhee also had battled to keep officers at the Carterton police station, and was pivotal in reducing vandalism in the town, introducing CBD security cameras there as well. In 2008, Mr McPhee spoke to the author through NZME. about his earlier suicide attempts and the clinical depression that had dogged him for decades. He was a guest speaker as well for Mental Health Services in Masterton, and he supported the founding of a Men’s Shed in Carterton where men could share their troubles and triumphs. 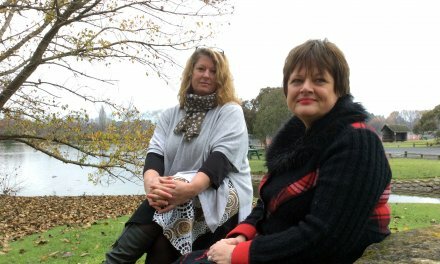 He also was a guest on the Nutters Club, a radio talkback show about mental health and addiction, which was founded in 2009 suicide prevention advocate and former comedian, Mike King. Mr McPhee earlier told NZME. that depression destroys daily life for sufferers, and for their families and friends. “For me it started out as tiredness and a loss of motivation and turned into self-doubt, sadness, and feeling unloved and inferior to most people I knew. “I know the only person who could kill me in a fair fight is me, except with depression the fight is hardly fair. Not for the sufferers, or for those people around them. 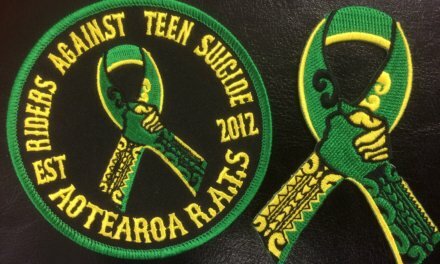 Suicide Crisis Helpline (open 24/7) – 0508 828 865 (0508 TAUTOKO). This is a service for people who may be thinking about suicide, or those who are concerned about family or friends. 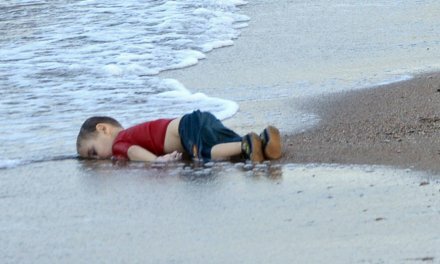 0800 WHATSUP children’s helpline – phone 0800 9428 787 between 1pm and 10pm on weekdays and from 3pm to 10pm on weekends. Online chat is available from 7pm to 10pm every day at www.whatsup.co.nz. Kidsline (open 24/7) – 0800 543 754. This service is for children aged 5 to 18. Those who ring between 4pm and 9pm on weekdays will speak to a Kidsline buddy. These are specially trained teenage telephone counsellors. Alcohol Drug Helpline (open 24/7) – 0800 787 797. You can also text 8691 for free. For further information, contact the Mental Health Foundation’s free Resource and Information Service (09 623 4812).